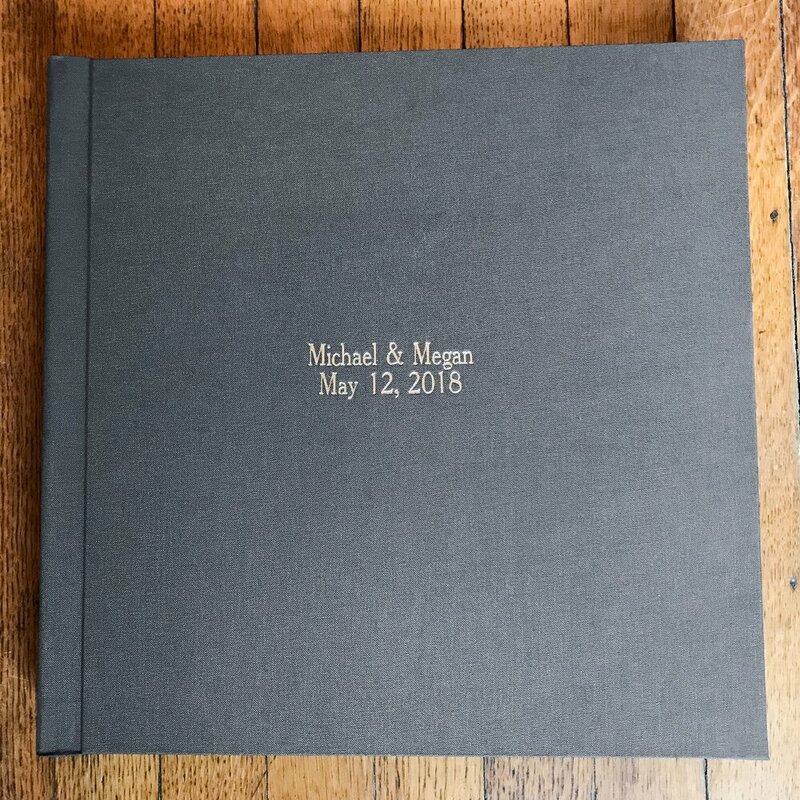 There really is no substitute for a tangible, one of a kind wedding album that will instantly become a very special family heirloom, where the story of your wedding day can be enjoyed now and by future generations. 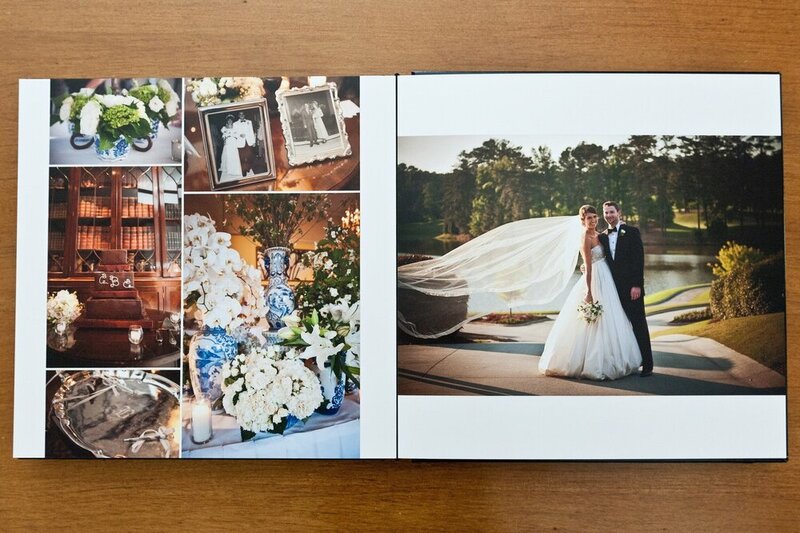 We offer custom library bound Renaissance Fine Art wedding and parent albums that have a classic, clean look and a remarkably durable feel. 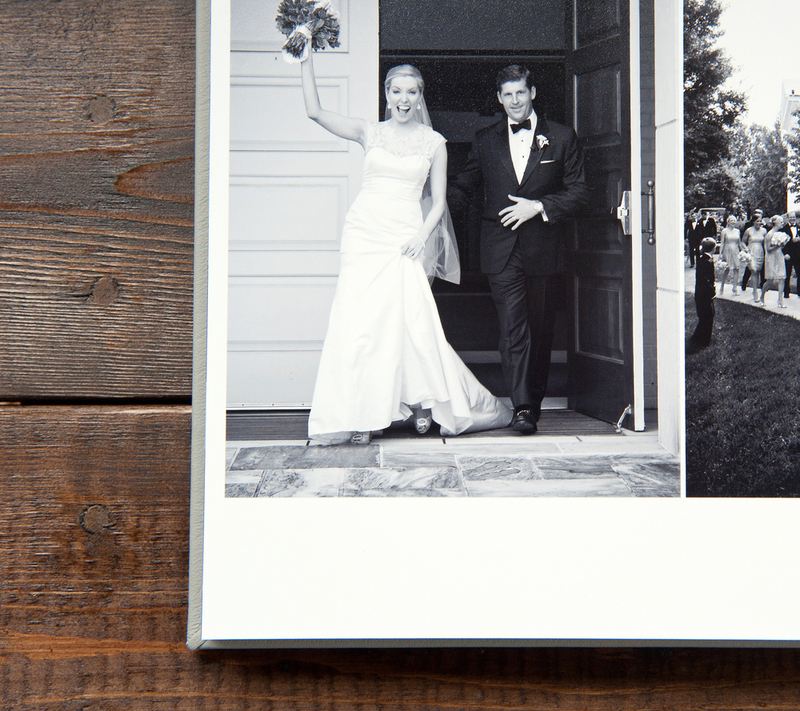 You select the images and we design the page layouts. 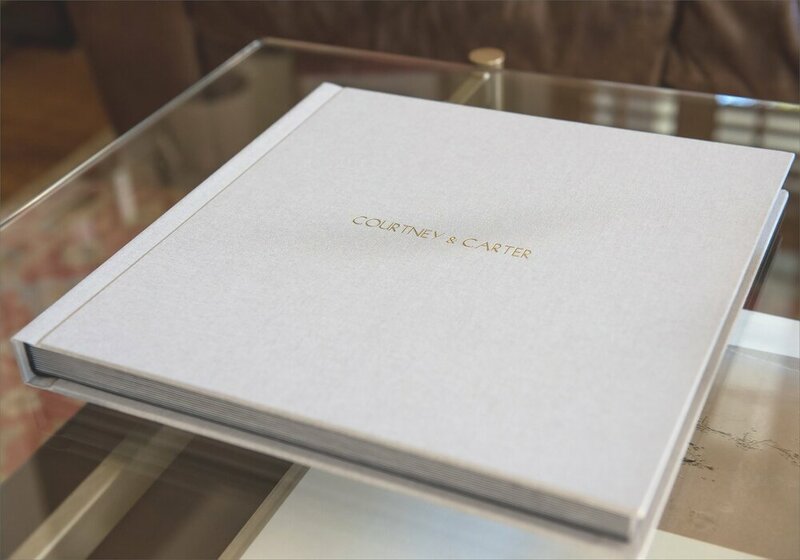 You'll preview and approve a digital version of your full album layout, then it is printed onto archival quality pressboard pages. 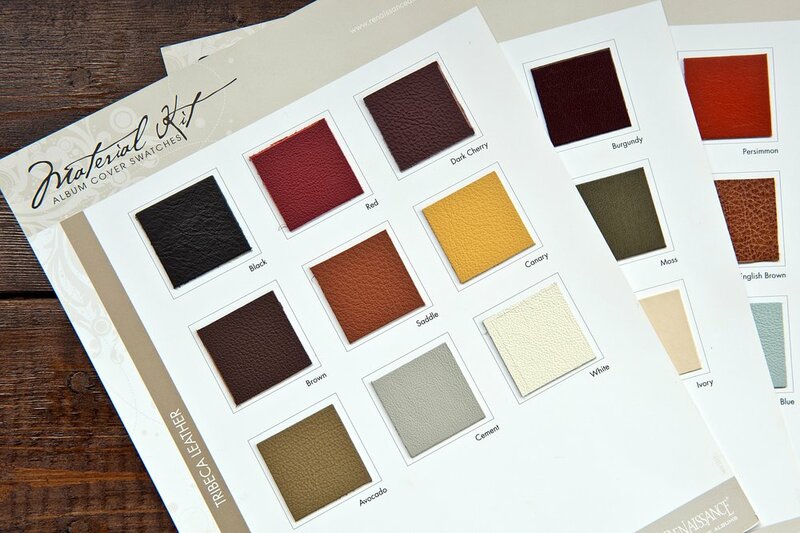 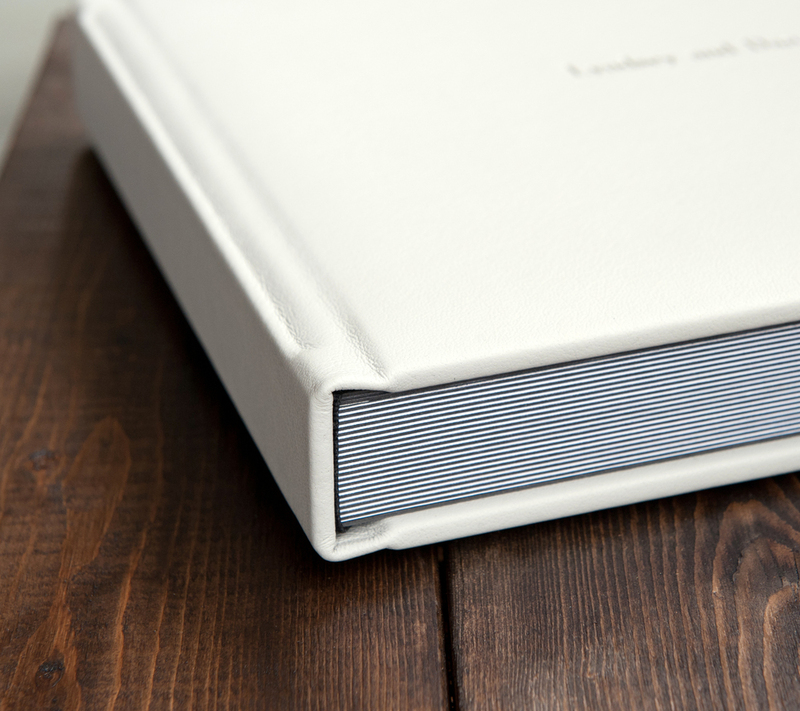 In the last step, the pages are bound and assembled into the cover, which is die-cast stamped with an imprint of your names and the wedding date.